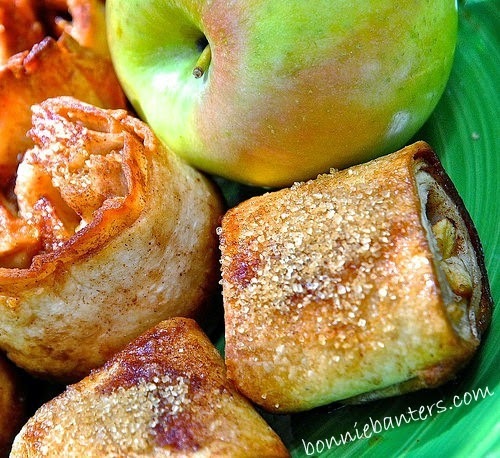 Bonnie Banters: Baked Apple Pie Pinwheel Dumplings or Rugelach Cookies ~ Super Easy and Super Good! Oh, I Don't Think I Can Wait! Spray about 8 cavities of standard-sized (ideally easy-release) cupcake pan(s) with the cooking spray. Mix the cinnamon with the sugar in a small bowl or cup and set aside. Brush a little of the accumulated apple pie filling juice onto a large (ideally with a juice groove) cutting board. Lay one tortilla flat on top of the juice on the board. Brush the tortilla with some of the melted butter and sprinkle with about 1 tsp. of the cinnamon/sugar mixture. Lay a second tortilla on top of the prepared first tortilla. Brush with more of the melted butter and sprinkle with another teaspoon of the cinnamon/sugar mixture. Cut the stacked tortilla layers in half. For each half of the tortilla layers: Place about 2 TB of the apple pie filling onto the center. Fold outside circular edges of the stacked tortillas over the apples to meet the cut straight edges of the tortilla layers. Roll the folded tortilla layers, filled with the apple mixture, (jelly-roll style) tightly from one end to the other, while trying to keep the apple mixture tucked inside. Some of the pie filling juices may spill out...just leave on the cutting board and let the next layer of tortillas pick up the juices. 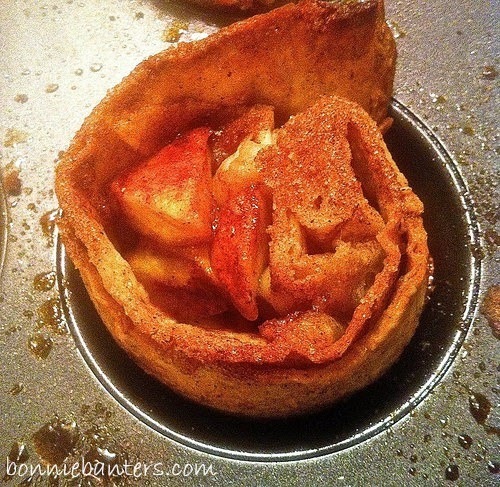 You can tuck any spilled apples into the pinwheels after they are rolled and placed into the pan(s). As each pinwheel is rolled, with the cut edges up and pie filling exposed, place and stand them into a cavity of the cupcake pan(s)...leaning slightly against the edges of the cavity for support, as necessary. Pinch the top of each dumpling slightly to hold together a little...they will open up and blossom as they bake. After all the pinwheels are placed into the cupcake pan(s), brush the tops with any extra pie filling juice and/or melted butter, then sprinkle with more of the cinnamon/sugar mixture and/or the optional turbinado sugar. Bake about 20-25 minutes or until golden brown and bubbly. Cool in the pan(s) about 5 minutes. If necessary, twist each pinwheel slightly to pull from the pan(s)...mine came out easily. Best eaten warm (but good cold). Will keep a couple of days at room temperature in a covered plastic container and store well in the refrigerator up to a week. 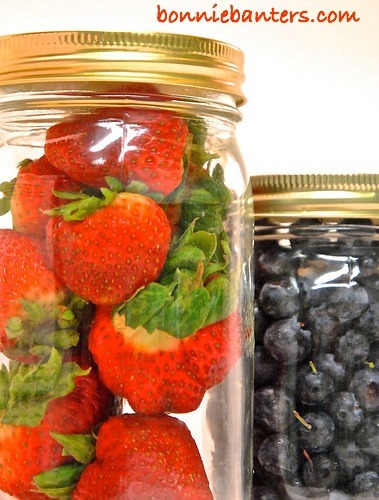 * I've not tried to freeze these yet, but they should freeze well, baked or unbaked. Follow Steps 1 thru 6 as for the dumplings, except spray about 20 cavities of the cupcake pans with the non-stick cooking spray. Spread about a 2" wide strip of approx. 1/4 c. plus 2 TB of the apple pie filling about 1" from the edges of the stacked tortilla layers. Pick up and roll the stacked tortilla layer edges closest to the pie filling over the strip of filling and tightly roll (jelly-roll fashion) all the way to the end, tucking in the pie filling as necessary. With the seam side down, cut into about 1 1/2" slices and place each slice (seam side down) into a cavity of the sprayed cupcake pans. 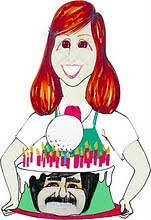 Complete the recipe as specified in Steps 11 thru 13 and bake in the cupcake pans, one per cavity, as for the dumplings. Using a microwavable covered cup, melt the butter in the microwave about 15 seconds on 80% power. The crust is wonderfully crispy-crunchy when first baked and more delightfully chewy-doughy after stored overnight or longer. Either way, the pinwheels and rugelach will be terrific! 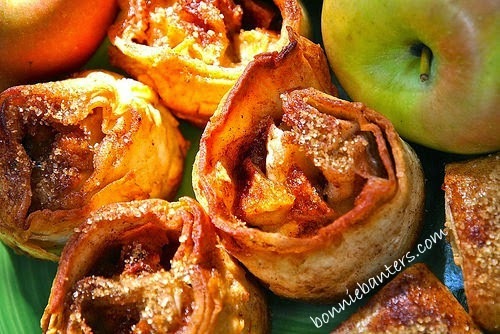 Enjoy these fantastic apple pie pinwheel dumplings or rugelach with a premium vanilla ice cream on the side, with or without a good caramel sauce or my Butter Pecan Glaze. Oh, there's not going to be any leftovers! 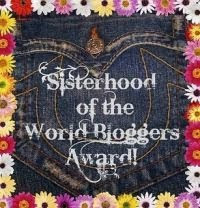 Thanks so much Liz! When I developed the recipe, I was excited that the dumplings and rugelach came out great the very first time I made them! Enjoy! Lol...thanks Regina! This is one of those I developed on my own, which is one reason why I was so thrilled that they came out terrific the very first time I made them! I think you guys will love them as much as we do...enjoy! Thanks so much Gio! These are a terrific way to us use up extra apple pie filling...enjoy! These certainly look absolutely delicious.